The Best of Teacher Entrepreneurs II: Math and Language Arts Lesson - "Math and Expository Writing Raft: The Cranky Calculator"
Math and Language Arts Lesson - "Math and Expository Writing Raft: The Cranky Calculator"
Math and Language Arts Lesson "Math and Expository Writing Raft: The Cranky Calculator"
Have you ever wondered how your calculator feels about you? You push its buttons every day… and sure, you’re happy with the right answer, but how does this make your calculator feel?! In this lesson, your students will take on the persona of their calculators. 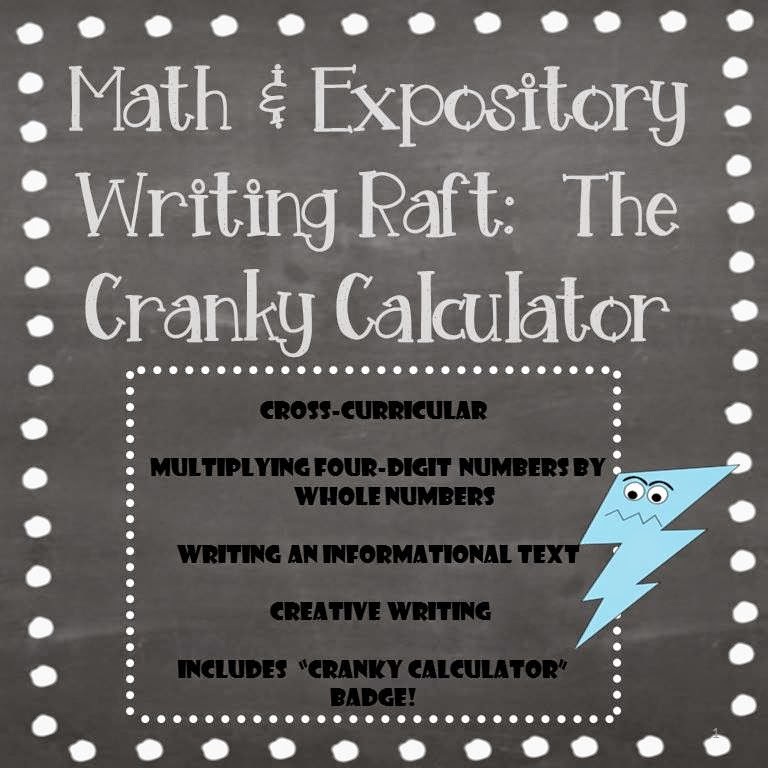 They are cranky calculators that are tired of being pushed around by students who should be able to compute multi-digit multiplication on their own! Students write a letter of complaint from a cranky calculator that wants the students to use pencil and paper (those two are always napping!) for a change. The letter includes detailed instructions on how to multiply multi-digit numbers. Additionally, the letter of complaint explains why the calculator is so cranky, and what it expects the students to do about it. This cross-curricular activity will fire up creative ideas, dramatic writing voice, and attention to logical, detailed directions. By writing out the steps to a mathematical process, the students reinforce their own understanding. All the standards for the informational/ expository text are addressed with step-by-step graphic organizers and directions that guide students through writing out the mathematical operation and constructing an informational text in the form of a not-so-friendly friendly letter. Mother's Day Writing - "You Help Me Bloom!" FREE MISC. LESSON - "Extra Support Report"
MISC Lessons - "Memory Book"
Revolving Moon in Your Classroom! FREE LANGUAGE ARTS LESSON- "Free Exit Tickets"
Language Arts Lesson - "Predicting Unit"
MATH ACTIVITY - "Remove One"
Language Arts Lesson - "Inferring Unit"
Language Arts Lesson - "Asking Questions Unit"
Language Arts Lesson -- "Parenthetical Citation"
FLASH FREEBIE - Alphabet Soup! Language Arts Lesson - "Reading Badges"
Language Arts Lesson - "Making Connections Unit"
Language Arts Lesson - "Visualizing Unit"
3.14.15 -- Pi Day Sale!